Hi! 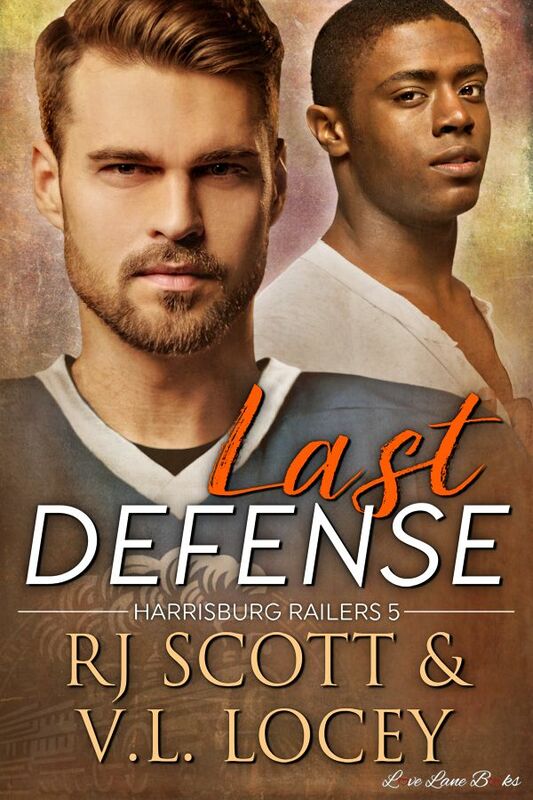 Today I celebrate the release of Last Defense by RJ Scott and V.L. Locey, the fifth book in Harrisburg Railers series. Every time Max Van Hellren steps on the ice he knows it could be his last time. At thirty heís past his hockey prime but heís also hiding a life-threatening injury that private doctors warn could kill him. This is his last season, and thereís a chance he could lift the Stanley Cup after fourteen years in the NHL. He just needs to stay safe and healthy; difficult when heís known for his heavy hitting and with a propensity for dropping the gloves and putting his body in the way of pucks to keep his team safe. Unable to move past his fears, he moves from lonely encounter to lonely encounter, slaking a desperate need that is eating away at him, but never making a connection that could lead him back into love. One night with Max makes him want more, but will giving into the temptation open the door to feelings he canít contain?